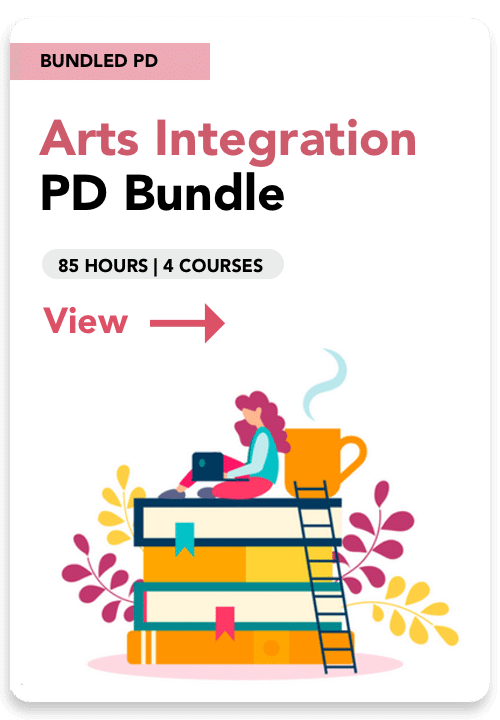 If you’re serious about integrating the arts, one class is typically not enough. But time and budgets often stand in your way. 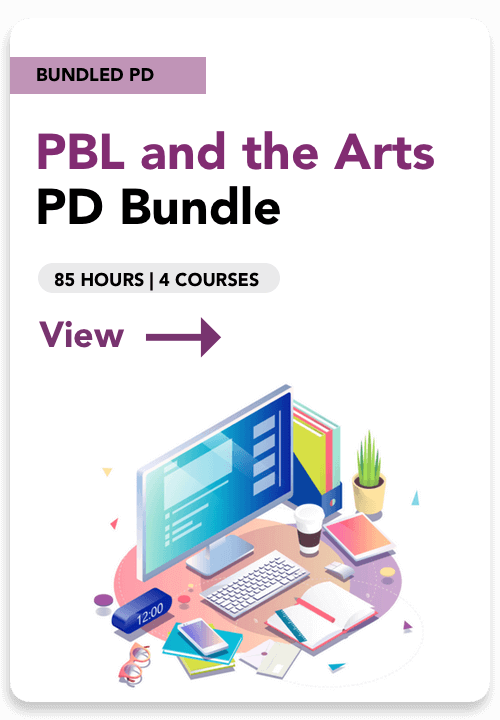 These Professional Development Bundles provide you with a sequential learning experience in one of three focus areas: arts integration, STEAM or PBL. You’ll have lifetime access and can move through each course at your own pace. When you’re done, you’ll get 85 PD hours. And each bundle saves you over 30% on regular pricing. So you’ll get more, for less. 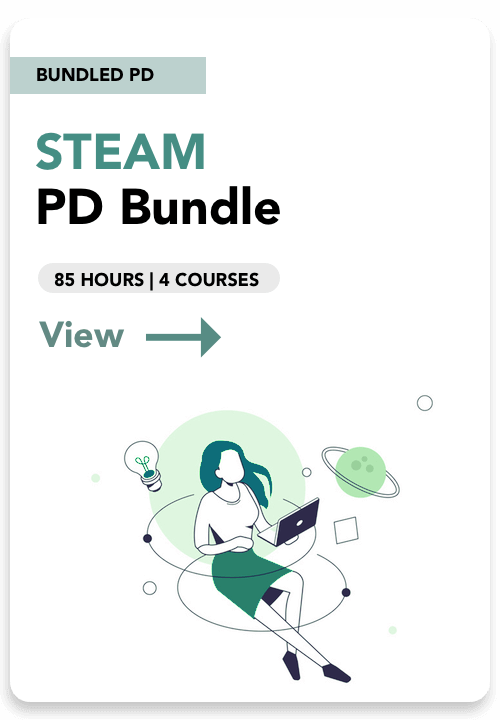 Choose your bundle and get 4 learning experiences. 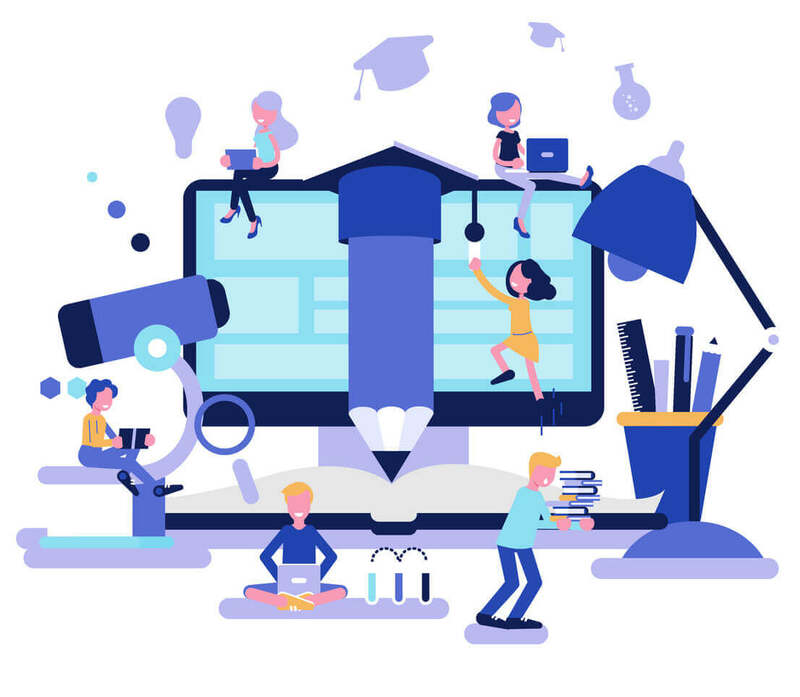 There’s a core learning class, an assessment class, a classroom management class and online conference access. View each bundle below.